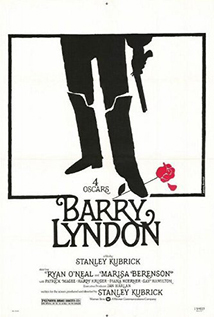 In Kubrick’s own adaptation of William Makepeace Thackeray’s novel about the exploits of an 18th century Irish adventurer, Ryan O’Neal stars as Redmond Barry (later Barry Lyndon) and Marisa Berenson is Lady Lyndon. Among the great supporting cast are Patrick Magee, Hardy Krüger, Diana Koerner, Leon Vitali, Steven Berkoff, Murray Melvin and Leonard Rossiter. Only a cinema screen can do justice to the stunning visuals of ‘Barry Lyndon’. Inspired by painters such as Thomas Gainsborough and William Hogarth, the film has a beautiful, painterly look, enhanced by filming in natural or historically accurate light sources, some lit only by candlelight. The film also won Oscars for Art Direction/Set Decoration, Music and Costume Design.